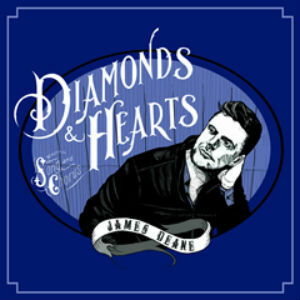 James Deane shines on his first solo album, Diamonds & Hearts. James has plenty of touring experience and has played venues as illustrious as Shepherd's Bush Empire and Ronnie Scott's and has a wealth of experience both in writing and singing his own material and in acting as a backing vocalist. The CD sleeve for his debut album is very well thought out and holds the CD securly in a secondary sleeve as well as listing a short dedication and acknowledging the musicians who worked with James on the album. 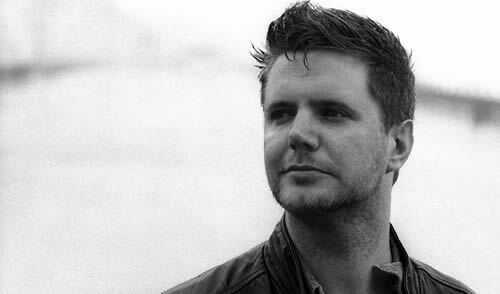 With a voice similar to that of Tom Petty and David Nail, James has written an album focused around a country sound. I was, therefore, very surprised to find Nobody Knows You (Like I Do) with it's Southern blues inspired melody. The melody is very different from the rest of the album and the guitar hook throughout the majority of the song further serves to root Nobody Knows You (Like I Do) in blues. It is unfortunate however that this is one of shortest songs on the album at only 2:07. It is obviously a genre of music that interests James and I would love to see him explore more of this in the future. For me, one of the stand-out tracks from the album would have to be the stripped back I Surrender.﻿ Both lyrically and melodically it is quite a simple song but after listening to the album a few times I found myself continuously going back and replaying the song. The message behind the song is so lovely, with lyrics such as "why does loosing to you feel so right?" and "though all we do is fight, I need you here tonight". I Surrender is slowler than some of James' other songs on the album but it works well in that it keeps the album interesting. I am also very fond of both Unwritten Song and the title track Diamonds & Hearts. James is very skilled at writing messages into his songs and this becomes very apparent in both of these songs. Both are brilliantly well written with very catchy melodies. The way James pulls together different threads of lyrics and melodies has been very successful and I find myself playing the whole album again and again. James is a very skilled songwriter and all of his songs build up really well. The songs on the album are different enough so that listeners don't get bored but they still all manage to tie together nicely and keep a sense of identity. James surrounds himself with some very talented musicians on his album. Mim Grey adds her voice as the backing vocalist and she is joined by Jack Duxbury on piano and keys, Gavin Scott on bass, Chris Walmsley on drums and Joe Walters on brass and piano. There are also appearances from Andy Ramsay playing drums on Dreamed You Were Home and Jason Andrew playing guitar on Reasons. All of whom are very skilled and bring their own dimensions to Diamonds & Hearts. Some copies of the album are still available to buy at http://jamesdeaneonlinestore.appee.com/ however the album will be on general release from 16th January 2012 and James will be performing a special Christmas gig on 28th December from 8pm till 11pm at Bar Des Arts in Guildford - a gig I would definitely recommend attending. I was able to see James Deane at Ronnie Scott's earlier this year and I look forward to seeing him on tour again soon! Five stars from me!